amanda briggs at dear ada: edmund de waal. 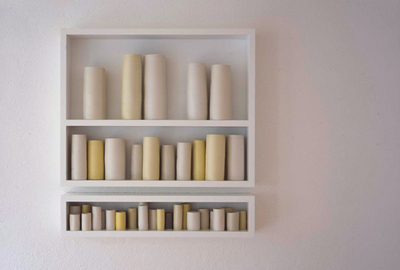 This installation of ceramic vessels by edmund de waal makes me so happy because it's so calm and soothing. Stillness personified somehow.